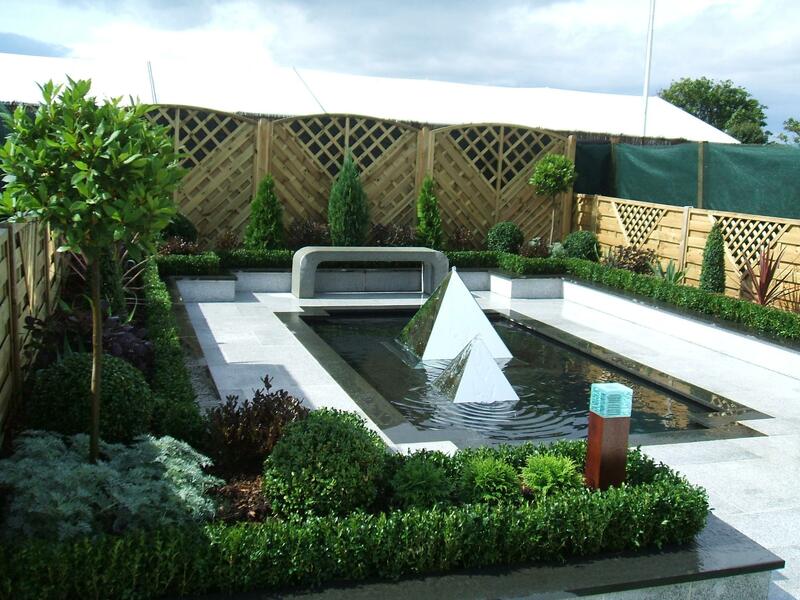 Gold Medal Winner, 'Night & Day' is inspired by the Art Deco movement of the 1920's. 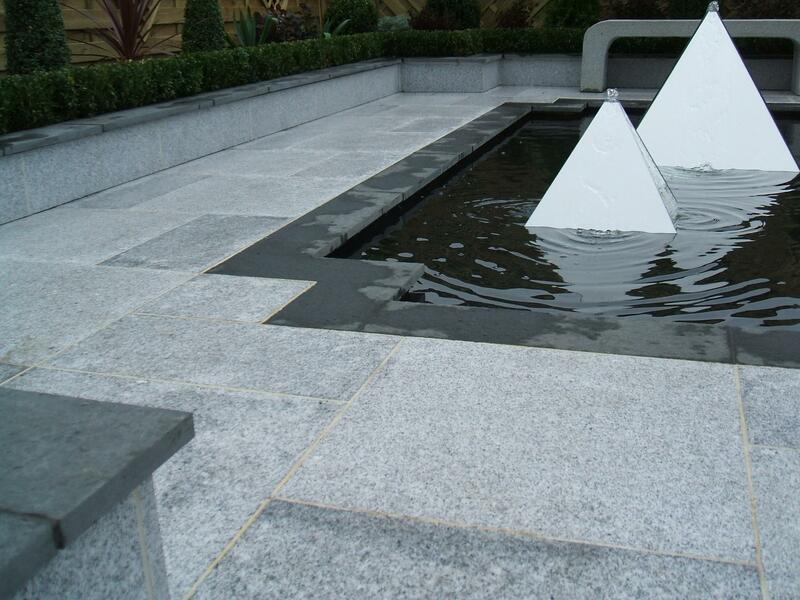 The look is created using Marshalls Granite paving laid around a formal pool. 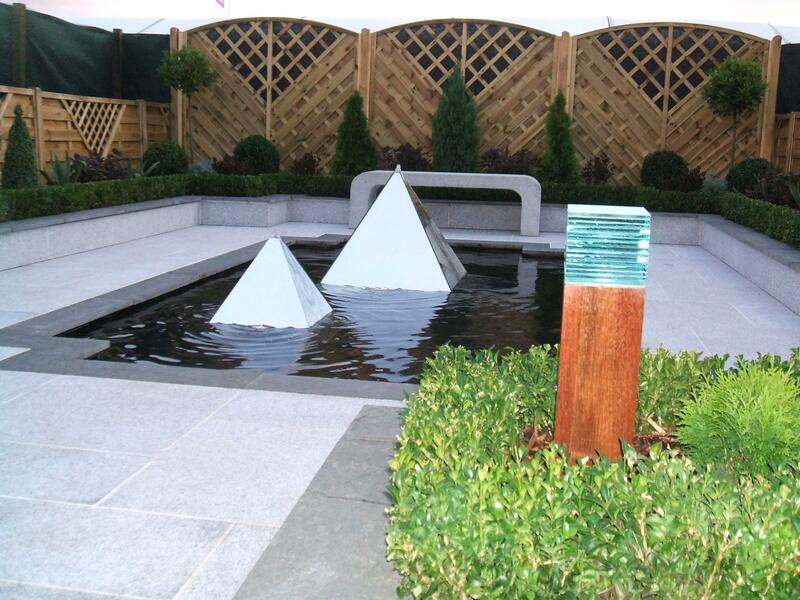 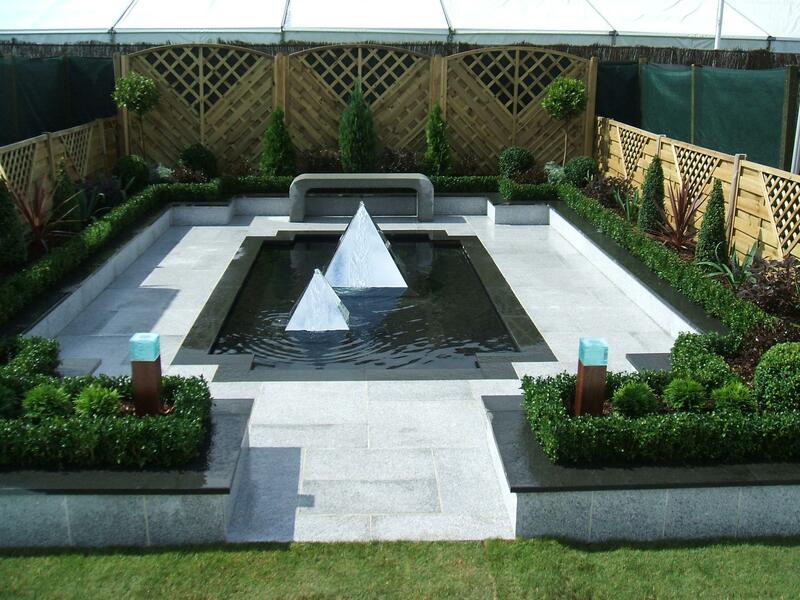 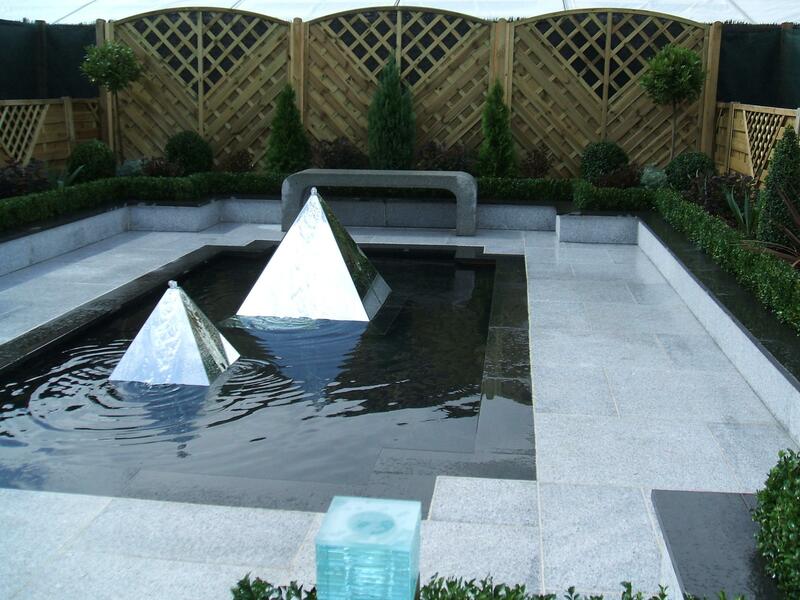 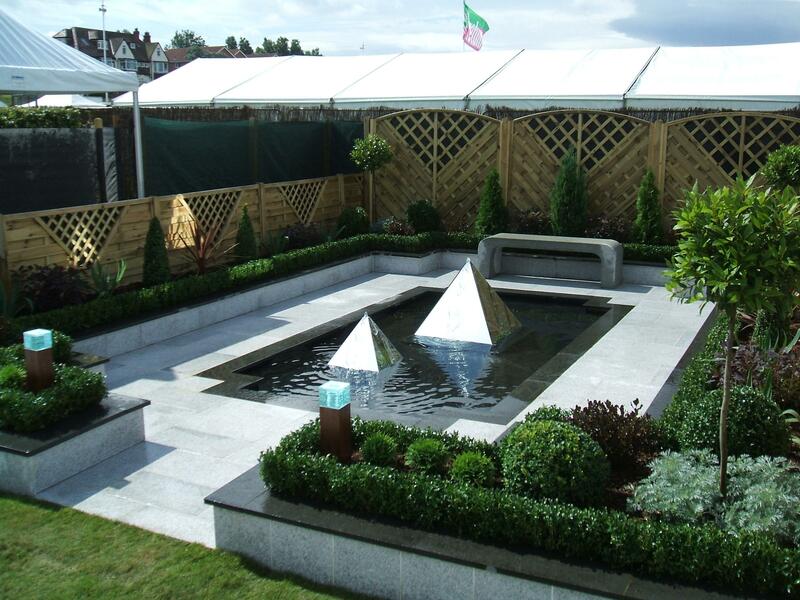 Mirrored pyramid water features add a touch of modernism to the design. 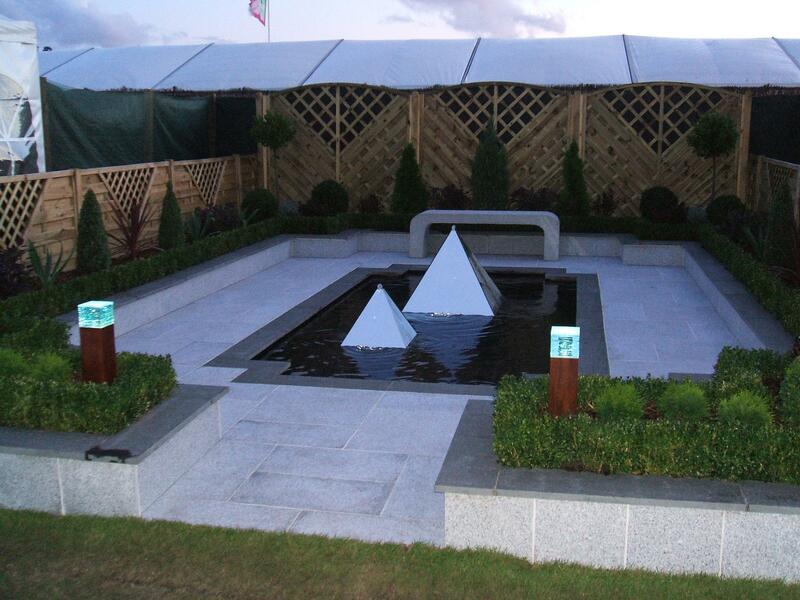 Raised Granite planters, filled with evergreen architectural plants gives interest all year round. 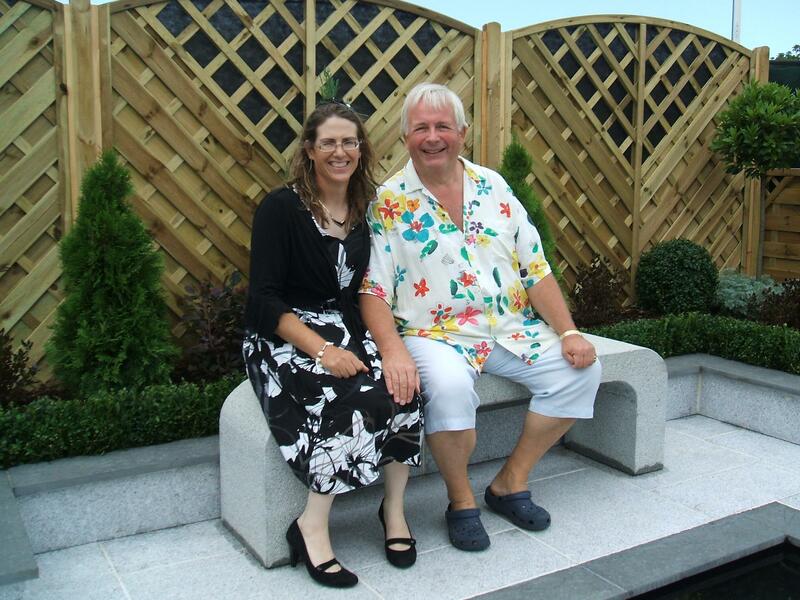 We had Christopher Biggins, a celebrity guest at the Flower Show, giving us his wholehearted approval.